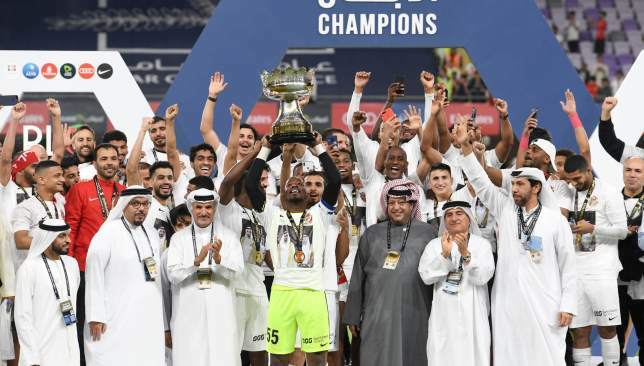 Shabab Al Ahli Dubai Club won their fourth Arabian Gulf Cup title after earning a 3-1 extra-time over reigning champions Al Wahda at Hazza bin Zayed Stadium on Friday night. Shabab Al Ahli got off to a strong start and controlled the possession in the early stages of the game. Mohamed Juma forced Al Wahda goalkeeper Rashed Al Suwaidi into a save only three minutes after kick-off, while Saud Abdelrazaq tried his luck 15 minutes later but was denied by Al Suwaidi. On the half-hour mark, Shabab Al Ahli came close to finding the back of the net. Juma found the ball on the edge of the box before dribbling past a defender, but his close-range shot hit the woodwork. The Clarets responded five minutes later. Right after coming on as a substitute for Abdulla Anwar, Sebastian Tagliabue teed up the on-rushing Ismail Matar whose strike was brilliantly saved by Majed Naser. The final five minutes of the first half were a different story. Shabab Al Ahli broke the deadlock five minutes before the interval. An inch-perfect cross from Abdelaziz Ali found Henrique Luvannor inside the box, and the Moldova international slotted home to give his side a 1-0 advantage. Shabab Al Ahli’s lead, however, didn’t last long as Argentine veteran Tagliabue leveled the scores in the dying moments of the first half. Henrique Luvannor celebrates opening the scoring. The 34-year-old forward’s powerful strike curled beyond Nasser, his fourth goal in the Arabian Gulf Cup this season. 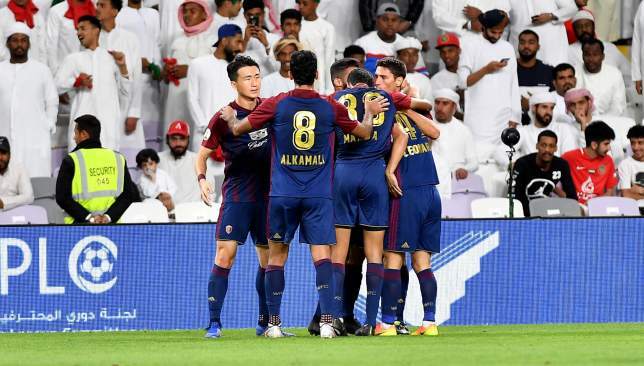 Substitute Ismail Al Hammadi tested Al Suwaidi in the 66th minute but the latter was alert as the game remained deadlocked. Shabab Al Ahli piled on the pressure as they searched for the winner in the remaining minutes. Al Suwaidi denied another replacement Jaime Ayovi with four minutes to go, before saving Majed Hassan’s effort deep in injury time. It was the cue for Rodolfo Arruabarrena’s side to take charge as, only five minutes after the restart, Shabab Al Ahli took a 2-1 lead. 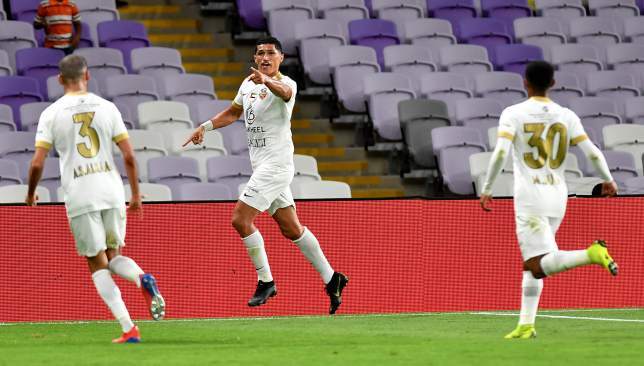 After capitalising on a defensive mistake from Wahda defenders, Ayovi sent a close-range effort past Al Suwaidi to take his side a step closer towards the title. Sebastian Tagliabue had equalised for Wahda. As the Clarets pushed for an equaliser, Shabab scored their third of the night to put the result beyond any doubt. Al Hammadi dribbled past a host of Wahda defenders inside the box before passing the ball to Mauro Diaz. Ecuador forward Ayovi found the Argentine midfielder’s pass and slotted home his second of the night. To add insult to injury, Henk ten Cate’s side were reduced to 10 men six minutes from time as Leonardo was sent off after being shown a second yellow card. Wahda, who have two titles to their name, failed to become the first team to win the trophy two years in a row. Meanwhile, Shabab Al Ahli won a record-extending fourth title after they were named champions in 2012, 2014 and 2017. 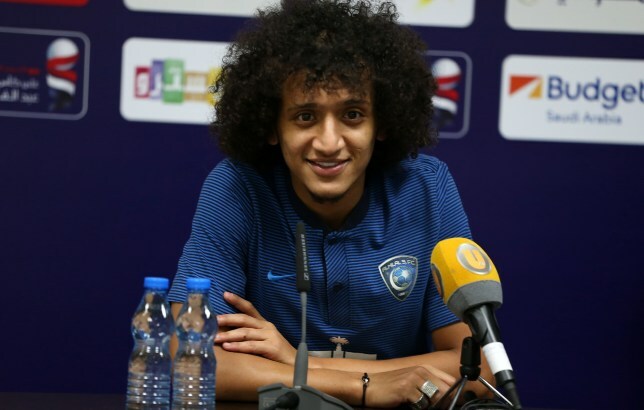 UAE superstar Omar Abdulrahman’s esteemed doctor is convinced he will return as the “best soccer player that we have in the Arabian Gulf” from his serious knee injury. Abdulrahman, 27, suffered disaster in October when he jarred his right leg when playing for Saudi Professional League champions Al Hilal and ruptured an anterior cruciate ligament [ACL]. This incident required immediate corrective treatment from the world-renowned orthopaedic surgeon Dr Ramon Cugat – who has also cared for the likes of Xavi, Samuel Eto’o and Fernando Torres – in Barcelona. Devastatingly, it ruled him out of January 2019’s Asian Cup on home soil and, likely, the rest of 2018/19. A welcome update was provided, however, on the Crescent’s verified Twitter account late on Wednesday night. “We performed an MRI [Magnetic Resonance Imaging scan] and it showed us that there is a very good evolution of the new ACL, [from an operation] that we performed about four months ago. “For the moment, we are very happy. Everybody is thinking that Omar can come back to play football and he will be the best soccer player that we have in the Arabian Gulf. This positive development will be welcome relief for an attacking midfielder who has a worrying history of knee problems. A second surgery on his ACL caused him to miss the first half of the 2011/12 season, while 2014/15 was also blighted with similar issues. Riyadh-born Abdulrahman completed a childhood dream last August when he contentiously exited Al Ain – after a decade with the first team that included 11 major trophies, 62 goals, 114 assists and 229 appearances – upon the expiry of his contract and joined Hilal. A one-season deal was rumoured to have been inked, worth Dh60 million. This followed overtures from a number of sides in France, the Netherlands and Spain. With the Crescent, the 2016 AFC Player of the Year got one assist and one goal during five SPL starts. In his absence at the Asian Cup, the host nation produced a number of insipid displays along the way to a harrowing semi-final exit. Dr Cugat, 68, is currently co-director of the Department of Orthopaedic Surgery and Traumatology Hospital Quiron Barcelona, chairman of the board of the Garcia Cugat Foundation for Biomedical Research and president of the Medical Council at the Catalan Mutual Insurance of Football under the Royal Spanish Football Federation. From the highs of Asian Cup 2015, few would have predicted such lows would follow for the UAE. After several years of ruinous missteps, however, across two regimes at the UAE Football Association, a welcome injection of positivity has been provided by Wednesday’s confirmation of coach Bert van Marwijk. The best-available candidate, recruited with the minimum of fuss by an organisation threatened with mutiny after a nightmare ending on home soil at January’s continental event. How novel. A World Cup 2010 finalist with the Netherlands. The man who wrenched Saudi Arabia from mediocrity, earning a cherished spot at the 2018 edition after 12 years away. What more could you want ahead of the lengthy run to Qatar 2022? Significant hurdles hinder a second-ever entry. In Van Marwijk though, an optimal chance of clearing them has been procured. Negativity had become all-pervasive with the UAE after the paternal Mahdi Ali’s once-wonderful reign unravelled throughout a traumatic opening in World Cup 2018 qualification and a ‘Golden Generation’ steadily lost its sheen, despite immense promise. Failed Argentina tactician Edgardo Bauza, predictability, could not inject life into the moribund final throes on the hazard-strewn ‘Road to Russia’. October 2017’s decision to then rouse the outdated Alberto Zaccheroni led to a sparsity of entertainment and strong results. The Whites did not get Serie A’s 1998/99 winner with AC Milan or Japan’s 2011 Asian Cup champion. Blinded by past achievement, they ignored World Cup 2014’s failure with the Samurai Blue or the wretched five months spent at Chinese Super League’s Beijing Guoan in 2016. A semi-final run from the previous Asian edition was repeated by him this January. But the vibe could scarcely have been any different, as humiliation rather than harmony reigned. Van Marwijk’s inheritance is this wreckage of broken dreams. His in tray at the UAE FA’s Al Khawaneej headquarters is packed with problems and pitfalls. Coherence has proven anathema within the governing body’s corridors. Restraining competing interests and creating proper pathways is vital. So, too, forging a playing style and identity that fits his squad’s characteristics. Plus, instilling discipline and belief that eroded since the zenith of Ali’s reign in the mid-part of the decade. Reinvigorating the likes of playmaker Omar Abdulrahman and forward Ahmed Khalil is, also, utterly essential. Striker Ali Mabkhout cannot do it all on his own – as this torturous Asian Cup exemplified. Belated acceptance of these issues has led the UAE to Van Marwijk’s door. These issues are familiar ones to him. They all applied to the Saudis upon his August 2015 ascension. He exited during September – a rupture with the Saudi Arabian Football Federation caused by his steadfast reluctance to live there was to blame – in the wake of hallowed qualification to World Cup 2018. 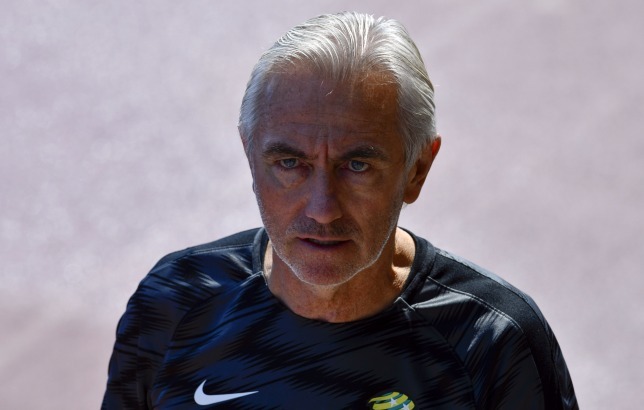 Van Marwijk has been in the Middle East’s hottest seat and succeeded. This makes him uniquely qualified to join the Whites, at this moment. The 66-year-old will also be firmly aware that reasons to believe exist. Abdulrahman, Khalil, Mabkhout and their contemporaries, by age alone, should enter their footballing prime during qualifying. Underneath this group, the Under-23s claimed a creditable bronze at 2018’s Asian Games. Al Wahda’s Mohamed Al Shamsi is an outstanding prospect in goal who will push current No1 Khalid Essa. Defenders Mohamed Al Attas, Khalifa Al Hammadi and Ahmed Rashid all possess the potential to replace the old guard of Ismail Ahmed and Mohanad Salem. Al Jazira playmaker Khalfan Mubarak can only keep improving. Powerhouse midfielder Majed Surour is getting regular game time at shock Arabian Gulf League-pacesetters Sharjah, while 19-year-old Al Wasl forward Ali Saleh scored a solo goal of staggering quality at Saudi Arabian giants Al Ahli Jeddah in last month’s Zayed Champions Cup-knockout clash. Van Marwijk’s CV has blemishes. Not least an unsatisfactory group-stage exit with Australia at World Cup 2018, in which a lack of creativity and stodgy possession turned off local media. Plus, he became one of many managerial casualties at German basket case Hamburg in a first job after his four-year Netherlands adventure. These are to be expected of any tactician still working in his seventh decade of life. The UAE have been uncharacteristically bold, decisive and discerning to draft him in. They will hope requisite reward follows.